Lightning Warrior Raidy is a remake of Ikazuchi no Senshi Raidy for DOS, and the only version of this game officially available in English. 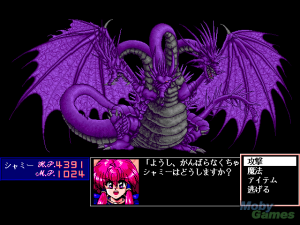 The remake has re-drawn, high-resolution graphics and a more comfortable interface; however gameplay remains largely unchanged. 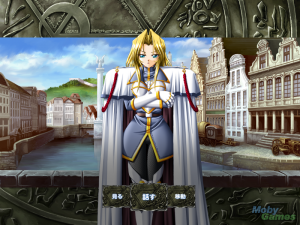 The wandering female warrior Raidy, who has the ability to use lightning attacks, arrives at a village, only to discover that all the young girls living there were kidnapped by female monsters and locked in the nearby tower. Raidy can't just walk away, she decides to venture into the tower and release all the girls.